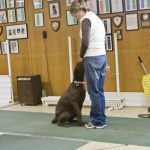 Photos of Dog Training at it’s best. 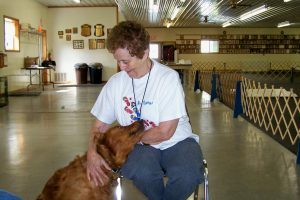 Susan and Nellie doing “dog-on-a-log” focus exercises. 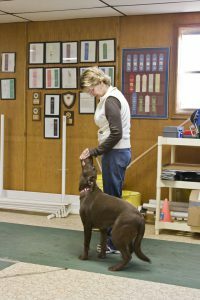 The photos represent an amalgam of younger and more mature handlers with the various sizes of dogs from the small Maltese to the larger working breeds. Thank you once again Roy for answering my email. I untethered Mitzi last night and this morning. I did not see or find anywhere that she had an accident in the house. I will continue to do the HB as you said. I’m excited for her to be completely House broken. I will keep you updated as to how things progress. I love this picture of her ❤️. Oh and I will leave a comment on your site too. 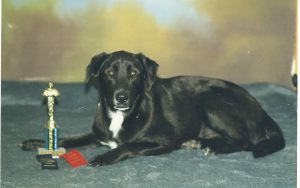 Wanted to also let you know that I suggested to a friend of s friend to contact you about their dog. I don’t know her name otherwise I’d tell you. 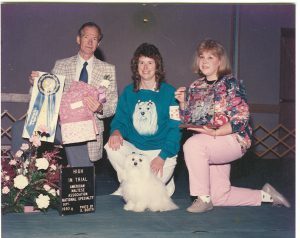 Dog, Companion Dog Excellent and Utility Dog.On the right you see the team being awarded at a Maltese Specialty the coveted H.I.T. that stands for High In Trial. 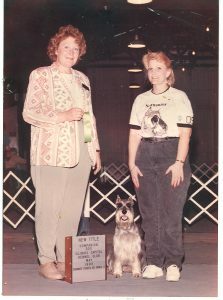 Which is the highest scoring dog in the entire trial all classes, all levels! 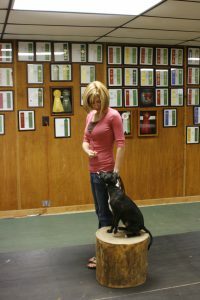 Alyssa and Rudy earning her UKC CD. 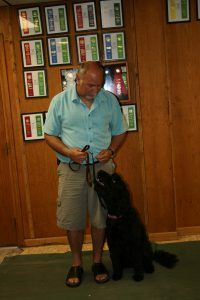 We are very proud of Alyssa earning a UKC CD at just 12 years old. 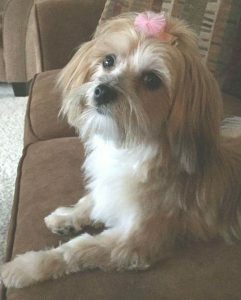 Her dog Rudy is a rescue and is about 20 months old. 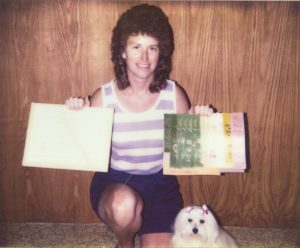 Holly and Wowzer get there Title CD. Holly and Wowzer take a First Place. Wowzer the Schnauzer! What can I say ,Wowzer is a Female Schnauzer with lots of attitude. 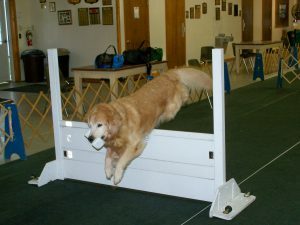 Yet Holly did all of the exercises with with style and grace. They earned the necessary three legs in three runs. 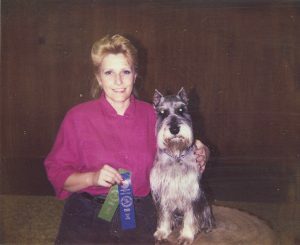 Congrats Holly and Wowzer the Schnauzer. 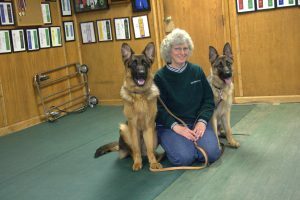 Leica on the right, Peggy in the middle and Lobo on the left. 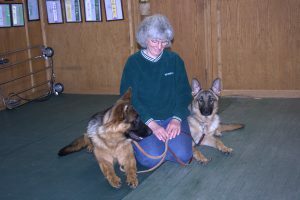 Peggy and Bob “not in pictures” did Basic obedience. Bobby teaching Raze the stand for exam. 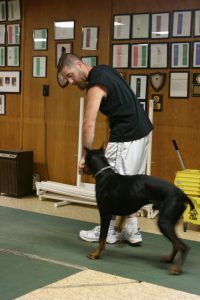 Bobby and Raze working on getting ready for there Companion Dog title. 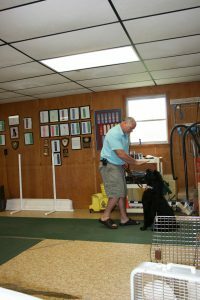 Bill teaching Bruno the sit stay. Bill and Bruno working some basic moves like the sit and sit stay. 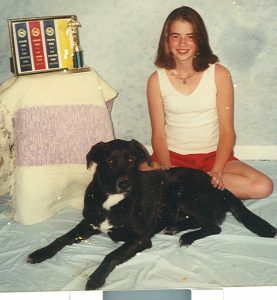 My dog Jack with my Friend Marleen. Marleen’s Ghandi going over the jump. To the left is my dog Jack, as you can tell he loves Marleen. 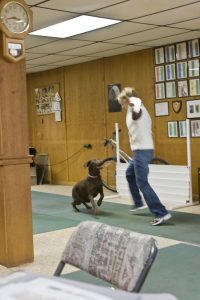 When Jack was a wee pup and we were attending a puppy socialization class, he was going up a small a-frame obstacle and got kinda stuck, Marleen stepped in and reassured him then gave him a very gentle directional push. This gave Jack the confidence to conquer the situation. And he has loved her ever since!